Surely we must get the redevelopment plans out of the owners (NewRiver REIT) soon? Maybe it's a good thing for New River to have one less tenant to plan around. They did have Vidal Sassoon on one of the CGIs which may mean they expected them to stay. I find it odd that they haven't relocated though, would have thought there would be plenty of other options. Anyone have any further news on this project? It's all gone a bit too quiet. An announcement is imminent. When it comes it will be pretty decent with lots of new tenants revealed. is there a tower? is it resdiential, new shops, refurbishment??? What buildings would they be Paul? As a history nerd I’d be interested to see what could’ve been there instead of that ugly vacant centre that exists in its place today! Well the main one that springs to mind is the Capitol Theatre - now it looks a bit grimy here but in the days before queen st was pedestrianised they all did! also inside was pretty impressive - and historically many a famous artist/band performed here. Although in fairness the Capitol theatre was largely demolished years before it's namesake shopping centre was built. fair play my memory is letting me down there! A great theatre which opened on 24th December 1921. Built for an independent operator, it was taken over by Paramount in 1931 (leased). The building also had a ballroom, three restaurants, a banqueting suite and a snooker room. It was taken over by Odeon Theatres in August 1941 (leased) and finally purchased by the Rank Organisation in April 1964. 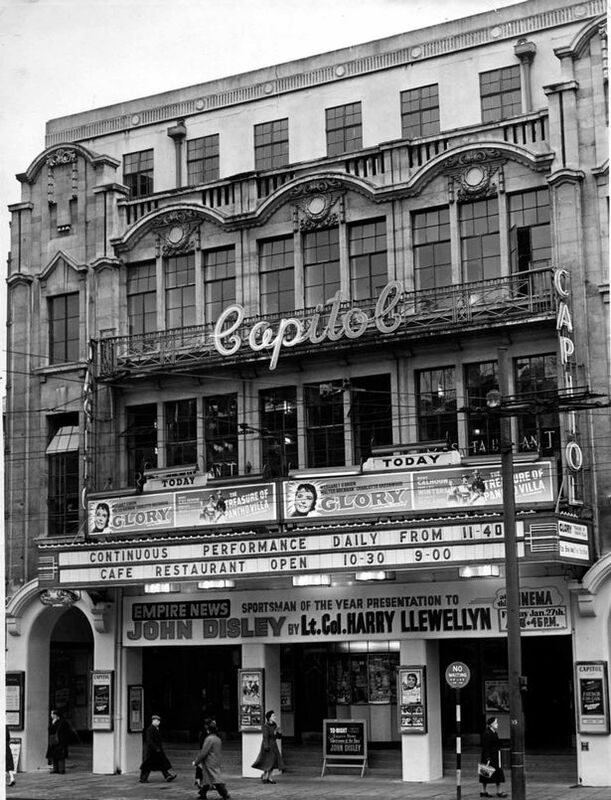 The Capitol Cinema had many famous stars appear on its large stage, including Shirley Bassey, Tom Jones, Bill Haley & The Comets, Danny Kaye, The Bay City Rollers and on 7th November 1964, The Beatles. Closed on 21st January 1978 with the X-rated double bill programme “Yellow Emmanuel” and “The Street Killers”. It was demolished in February 1983 and the Capitol Odeon Cinemas were built on the site. So the Odeon is the guilty party!! apologies Capitol centre - now what's the announcement! !